Just released on DVD, this much lauded film from Todd Haynes—adapted from the Patricia Highsmith novel about a lesbian relationship in 1950s New York—features fine performances from Cate Blanchett and Rooney Mara. 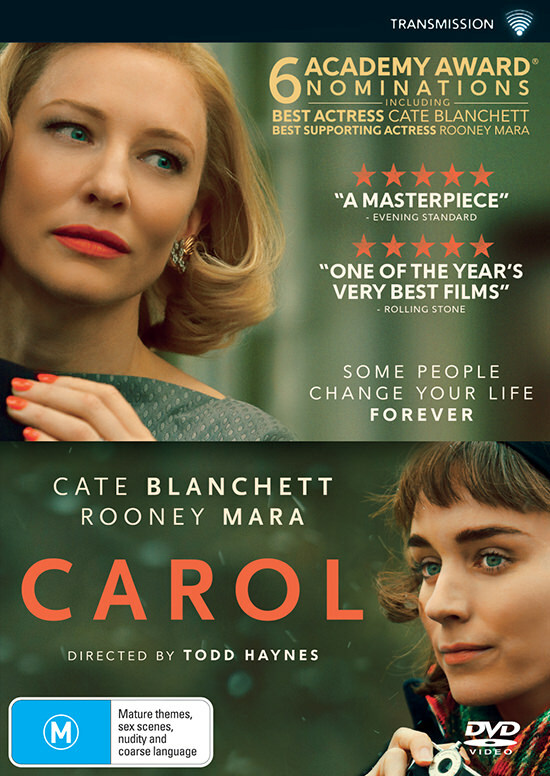 But the film’s partnering of Highsmith and Haynes, six Oscar nominations, plenty of good reviews and many fans, judging by long screening seasons are reasons enough for you to see Carol and judge for yourself. Email us at giveaways [at] realtimearts.net with your name, postal address and phone number. Include ‘Giveaway’ and CAROL in the subject line.